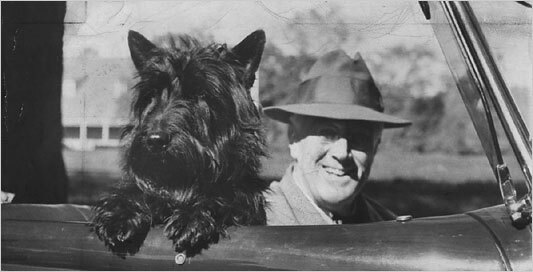 Not true: Hyde Park on the Hudson, a movie about FDR and his relationship with “Daisy” Suckley, was widely panned as poor history. It misstated the relationship between these two very good friends, and doesn’t portray events in a historically accurate way. For example, the cottage featured in the movie was not actually a surprise to Daisy; rather, she and Roosevelt collaborated on its design. Enjoy the movie if you like … but don’t look to it for history. Roosevelt was the first President elected with a physical disability. He was the first person to lose the election as a Vice Presidential candidate, and then win as the Presidential candidate. A case can be made that Roosevelt was a racist. After the 1936 Olympics, all of the white athletes were invited to the White House. The black athletes, including the 4-gold medal winner Jesse Owens, were never acknowledged by Roosevelt. During the war, he ordered the internment of over 100,000 US citizens of Japanese descent. FDR built a swimming pool and a movie theater in the White House. Roosevelt was the first President to appear on television. Roosevelt’s “New Deal” redefined the role of government in America. The new federal involvement in matters traditionally handled by the private sector was anathema to the conservatives of his day. 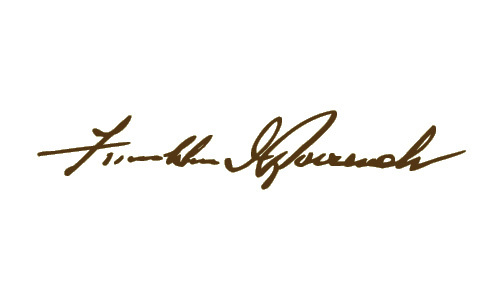 His engagement in solving America’s economic problems, however, resulted in his election to an unprecedented 4 terms. 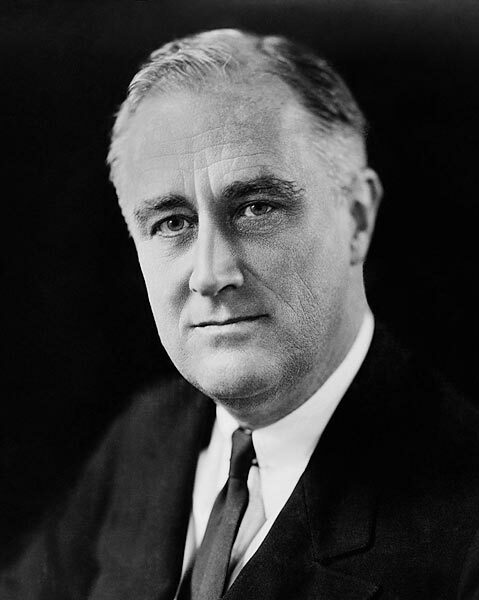 FDR worked at improving his reading speed. Eventually, he was able to absorb an entire paragraph at a single glance. In high school, I learned that FDR’s “New Deal” helped end the Great Depression and fueled the recovery. In college, I learned that the build-up of the war machine is actually what caused the recovery, and the “New Deal” actually had little impact on the economy. My conclusion: Democrats love it, Republicans hate it, and such is the nature of political discourse. It was true in the 70s, and it’s true today. Unfortunately. 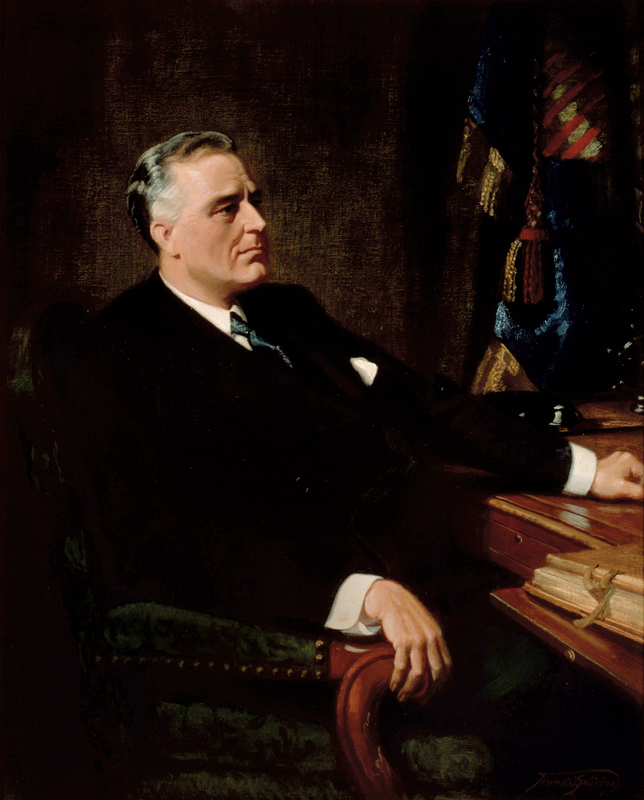 The Official Portrait: Frank O Salisbury painted the image of FDR that ultimately became the Official White House Portrait. The original was painted in 1935, and now hangs in the New York Genealogical & Biographical Society. Salisbury made 5 copies, each with slight variations from the original. One of these is in the FDR Library, and the last, painted in 1947, hangs in the White House. I have not located all 5 of the original paintings, though I’ve not read of any controversy, so I imagine all are in collections that are known.